Marco Arellano just got home from his dream trip. The California-based photographer had been snapping shots at Maverick’s and other nearby waves for a few years, but Hawaii had always been the Holy Grail for him, at least in terms of surf photography. So when he was invited to come out to the North Shore for a week to shoot a swell in January, Marco jumped at the chance. But once there, he decided he didn’t have a good reason to leave. Marco quit his job, found a room, and posted up for the rest of the winter. 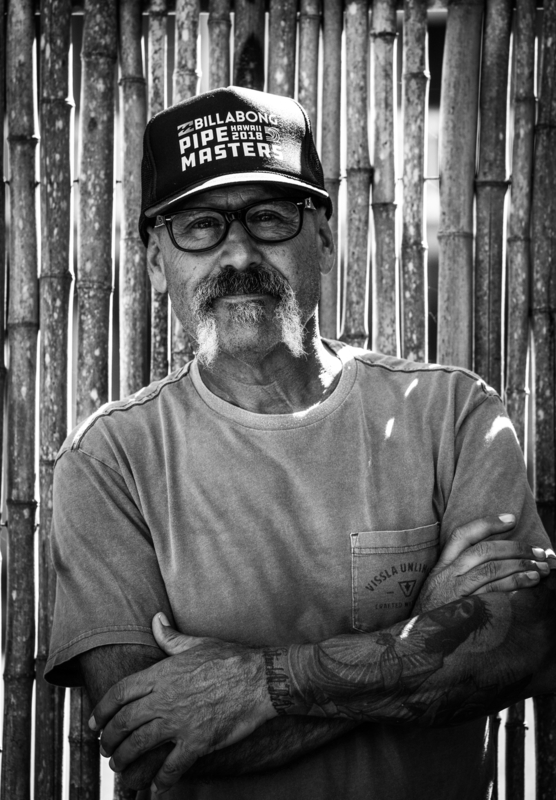 During that time he made a bunch of new friends and contacts in the surf industry, scored a couple two-page spreads in major magazines, and also worked on a passion project, collecting portraits of North Shore regulars whose work and performances you would have seen, but whose faces might not be quite so familiar. The following is a collection of portraits from Marco’s portfolio—a snapshot of the North Shore underground, through his eyes. As the daughter of North Shore legend Roger Erickson, it’s no surprise that Emi has become one of the leaders of the recent progression in women’s big wave surfing. She has long had an affinity for heavy water and single-fin guns, and grew up a short walk away from her beloved Sunset Beach. But the past year has really seen Emi come into her own. She made the cover of both The Surfer’s Journal and Outside Magazine, won the recent big wave event at Nelscott Reef, and was the only woman to ride a wave in the final of the Peahi Challenge (where she was inexplicably denied the win, as well as a subsequent world title). What she will do next is up to her, but if history is any indicator, it will involved radical adventures, big boards, and continued dominance on big wave surfing’s proving ground. The surf industry can be a fickle beast. Jamie Sterling lost his main sponsor a few years back, and with it the means to chase every purple blob that pops up on the charts. These days, if you aren’t on every swell, you are quickly forgotten, which is why the 2011 big wave world champ is more likely to be seen out at Turtle Bay teaching surf lessons than he is in the latest surf magazine. But despite his diminished profile in the media, Sterls is still one of the best heavy water guys out there—just a sponsorship away from being back on the chase, in the mix, and on the Big Wave Tour. He’s also widely considered to be the nicest person on the North Shore, which speaks a lot more to his character than the bombs he regularly packs at Waimea Bay. The North Shore has long been a hot bed of shaping talent, and the Waialua Sugar Mill is ground zero when it comes to XXL board design. Drew Sparrow has been shaping out of the sugar mill for years, and his boards have practically become ubiquitous on Oahu’s outer reefs. It is nearly impossible to paddle out on a big day and not see Sparrows stick-figure bird logo floating around in the lineup, under the feet of both pros and underground chargers alike. 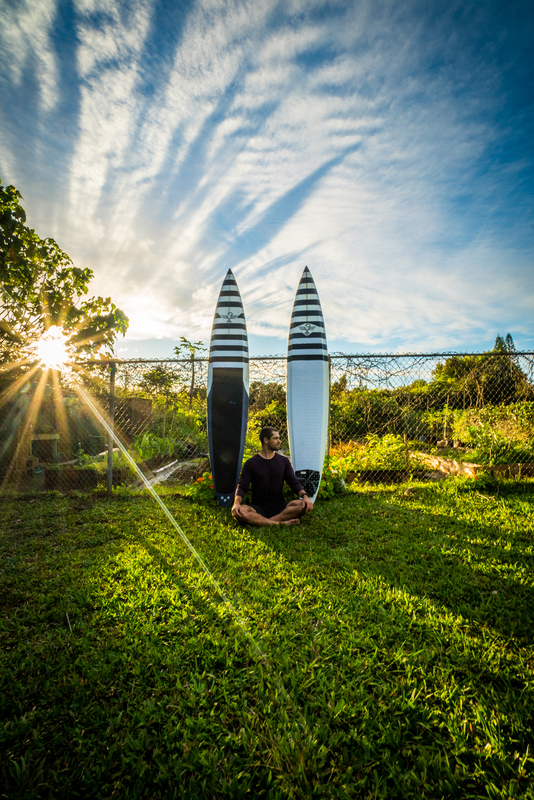 Recently, Sparrow has been revisiting the step-deck concept, adding volume to his guns without sacrificing manoeuvrability, and creating what many believe are the next level in heavy water design progression. 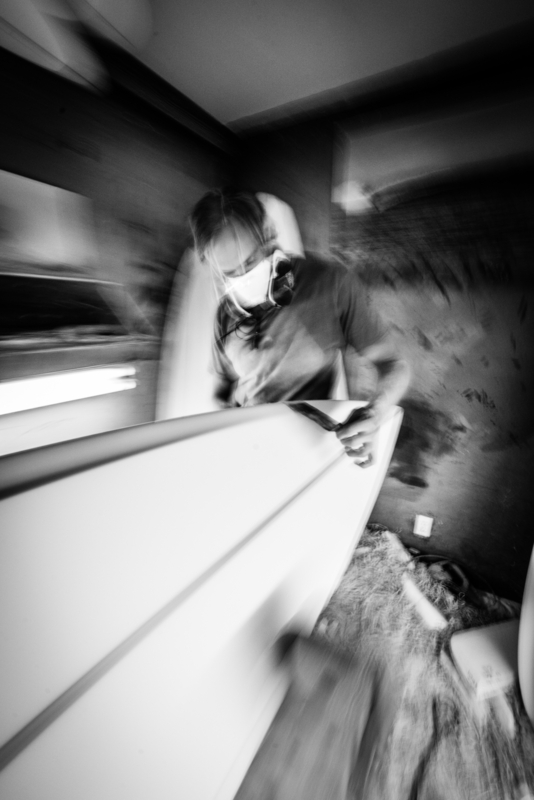 If you ever read a surf magazine, you’ve seen Brian Beilmann’s work. The North Shore-based photographer is a titan of the industry, with over a hundred covers to his credit, including dozens for Riptide and Transworld Surf. In addition to his prolific portfolio in the surf media, Bielmann has done extensive commercial work, was the man behind the iconic “Crazy Train” shot of Nathan Fletcher at XXL Teahupoo, and arguably shot a majority of the most important images of Andy Irons throughout his career. The fact that you can rub shoulders with this photography legend on any given day is a classic example of why the North Shore is the center of the surf universe. When it comes to the sport of surfing, there are those who are anointed by the industry, and those who claw their way onto the big stage. Trevor Carlson is part of the second category, having worked his way onto the Big Wave tour through grit and determination—and a seemingly fearless approach to XXL waves—despite never having any mainstream sponsor support. Carlson’s competitive big wave career was sidelined 15 months ago after a sky diving accident broke his back and ankle, but after a year of intensive rehab he’s back in the water and charging as hard as ever, busy clawing his way back onto the tour, right where he belongs. Even if you don’t know Jim Russi’s name, you surely know some of the photographer’s more iconic images—and there have been no shortage of those. 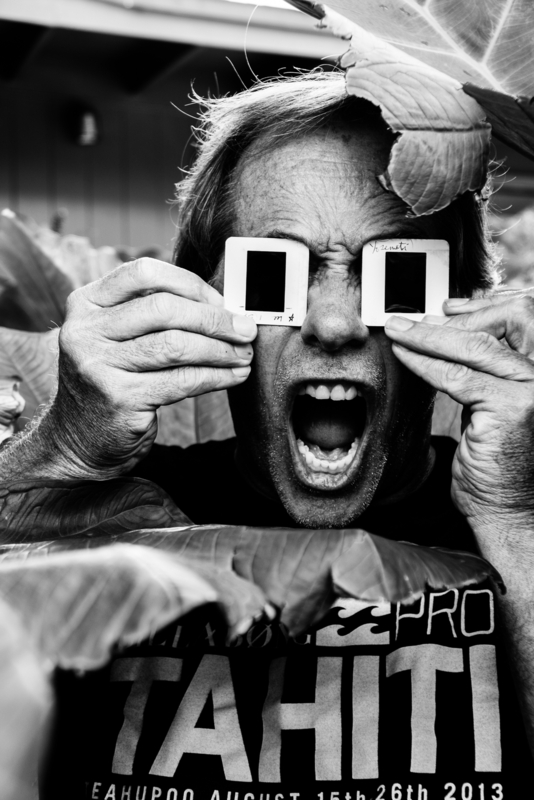 Russi moved to the North Shore in the 1970s, but has traveled the world as a staff photographer for virtually every major surf magazine in existence. 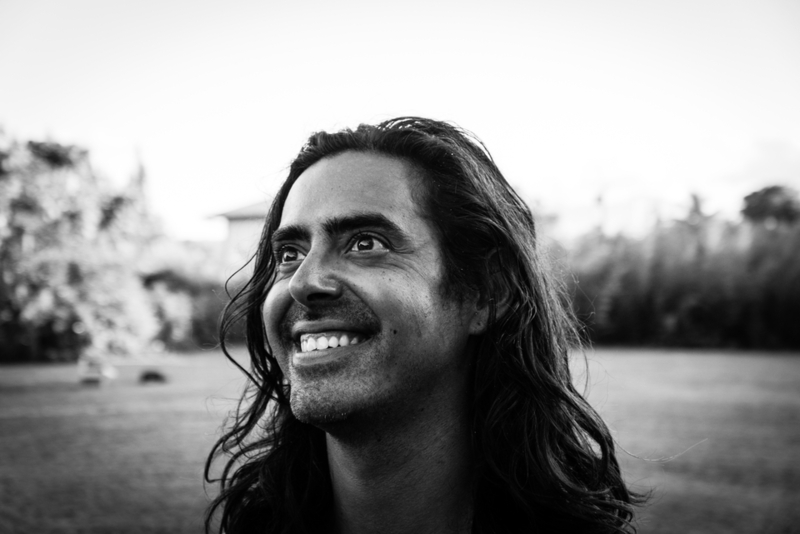 He also has a hefty portfolio of ad work for various surf brands, including many years with Quiksilver’s Roxy campaign. When not on the road shooting the best in the world, Russi can be found at home on Oahu splitting his time between surf, ocean art, and lifestyle photography. 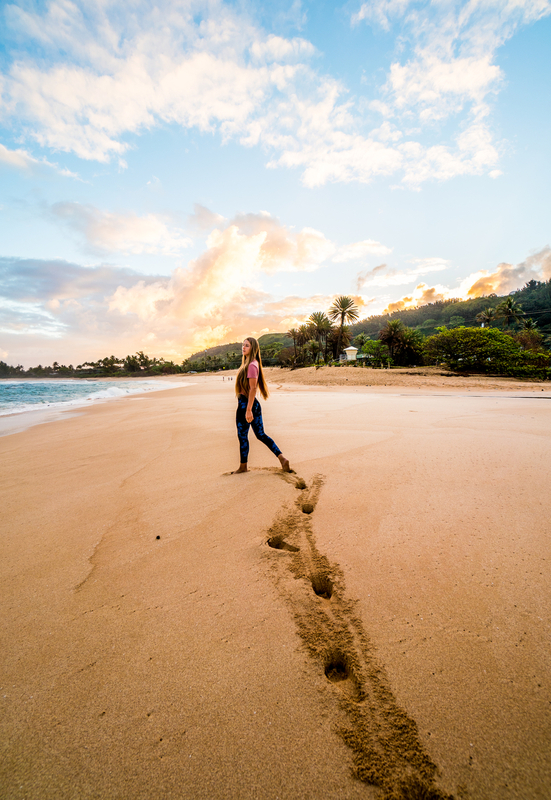 Hawaii seems to attract people with passion. While most of us find our way there because of the surf, we bring with us the other interests and hobbies that make us unique characters. Hilton Alves is a Brazilian surfer who came to Oahu for the waves, and who ended up bringing his own. Alves is an artist who is now based in the sleepy North Shore town of Kahuku, where he creates canvas paintings and plans his bigger projects—gigantic murals that can be seen around Hawaii, Brazil, and Singapore. 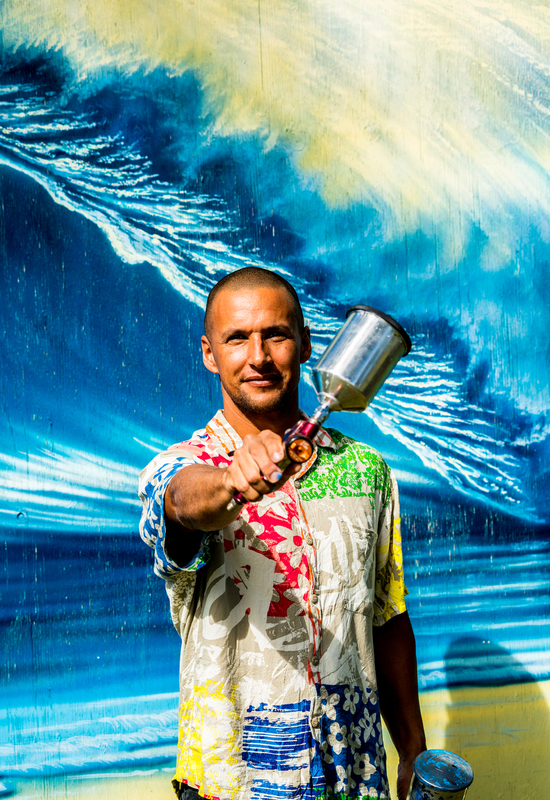 Part of Alves’ 101 Perfect Waves project, these murals feature—you guessed it—perfect waves, including a world record painting of Pipeline on a wall in Honolulu that is 100 meters wide and five stories high. Whether mixing colors on his palette or chasing swells on the North Shore’s reefs, Alves is proof that the perfect wave doesn’t have to be just a dream—you can find it anywhere you make it. On a stretch of beach that is renowned for big rides and bigger parties, Raquel Heckert is a whole different breed of surfer. When everyone else indulges in drunken debauchery, she’s out leading youth programs or visiting the sick and elderly. While the other surfers in town post up in beachside shacks or sponsored team houses, she sleeps in a church. And while the North Shore is largely governed by ego, she brings with her a quiet humility and an ever-present smile. But that is where the differences end, because out in the water, Raquel goes as hard as anyone. Whether she’s chasing down bombs at Waimea and Sunset or packing barrels at Pipe, this girl is here to play rough—at least until she gets back on the sand. 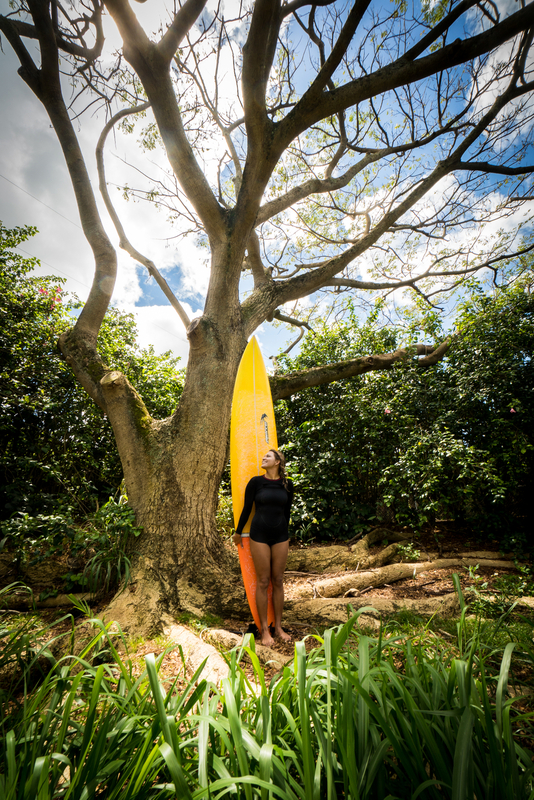 This was only her fourth season on the North Shore, but in that time Raquel has already left her mark, proving that she is the next big thing in Brazilian big wave surfing. What do you do when you’ve already dominated one sport for over a decade? 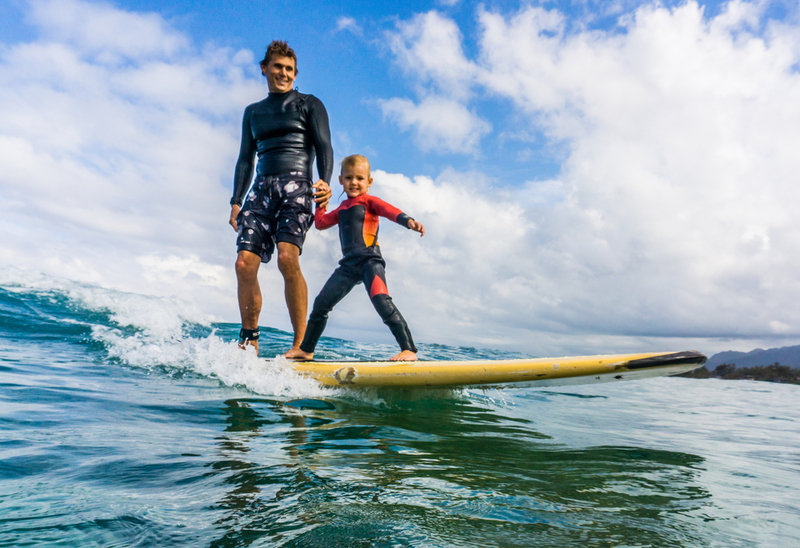 If you are 10-time prone paddle champion Jamie Mitchell, you buy a house on the North Shore, start a line of SUP boards, take up foiling, join the Big Wave Tour (where you finish in the top five and become the athlete’s rep), win the Big Wave Awards performer of the year, and have two beautiful daughters. The scary part? This Australian powerhouse is just getting started.